Blended cement can be defined as uniform mix of ordinary Portland cement (OPC) and blending materials such as silica fumes, fly ash, limestone and slag to enhance its properties for different uses. Blended cement can improve workability, strength, durability and chemical resistance of concrete. In this article we discuss about characteristics, types, advantages and uses of blended cements. 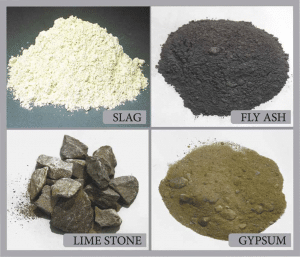 Fig 1: Types of materials used in blended cement. Blends containing up to 70% slag cement are used for general construction. Used for general construction, this blend can contain up to 50% pozzolan. Fly ash is the most common pozzolan used in blended cement. Relatively new to the U.S. market, portland-limestone cement contains between 5% and 15% percent interground limestone. Ternary cements are blends two complementary supplementary materials such as fly ash, slag cement or silica fume. The “(X)” in the designation refers to the percentage of the ingredient included in the blended cement. The remainder is portland cement. For example, Type IL (10), portland-limestone cement, contains 10% limestone and 90% portland cement. It provides a finer texture than OPC when mixed and placed. So it can be used for finishing and elevation works. Water consumption is less which makes it easy to work with and shape. The strength gained after 28 days is significantly stronger than OPC, in both compressive and flexural stress. The permeability of blended concrete is low, due to which the life of concrete is extended by reducing penetration of aggressive water run-off compounds such as sulfates and chlorides when compared to ordinary cement. Cracks occurred due to thermal stress by variation of temperature is reduced by the use of blended cement. Reduced problems realted to Alkali-Silica Reaction by using a mix of blended cement as either silica fume and slag, or silica fume and fly ash. Blending material used are industrial by products, the used of these industrial by product reduces the use of natural resources such as limestone, silica and clay. Specialist formulations such as adhesives, renders, mortars and grouts.